A newborn baby is naturally at risk immediately after birth. He has been safely bundled inside your womb for the past 9 months where he has been kept warm, nourished and protected from the outer environment. Once exposed to the world he requires assistance and will rely on your knowledge and assistance to ensure he is protected and well looked after. 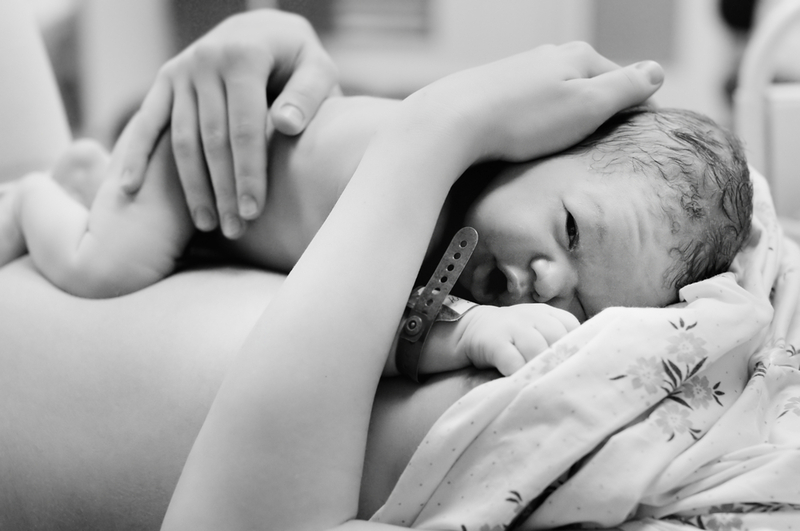 What is essential newborn care? There are some essential practices that every newborn baby requires no matter where he is born or what size he is. This care should take place soon after baby is born. These practices will help to lower baby’s risk of infection or illness early on. These practices are usually carried out by a health care professional. You may be required to continue with a few practices for up to 1 week after baby is born. Be vigilant and recognize any unusual behaviors that may need specialized care. Trust your gut instinct, which is usually right. Women used to spend up to 1 week in hospital after they gave birth. It was during this time that new mothers learnt to care for their new baby. New mothers no longer spend extended periods of time in hospital after they give birth. Most women will be discharged after 48 hours and are expected to look after their new baby. Surround yourself with a support structure. This may be help from family and friends it may even be specialized care from health care providers. The important thing to remember is that you are not alone and that there is plenty of support available to new mums. All you need to do is ask. It is recommended that you exclusively breastfeed for no less that 6 months. It is during this time your baby will receive all the necessary nutrients to assist a healthy weight gain and will also help to support his immune system to avoid sickness. Most women will feed on demand, which means baby gets fed when he is hungry rather than to a time schedule. This can mean that a new mother can spend many hours in the early days feeding. Newborn babies should be held often. This helps to create a bond and a sense of security. A newborn baby that is held often will cry less. When picking up or holding a newborn you should always support his neck. He neck muscles are not properly developed and do not have enough strength to support it. It is important to take care of baby’s umbilical cord. It will take 2 to 3 weeks before it detaches. Keep it clean by wiping it with an alcohol wipe. Use a Q-tip to clean the area to ensure all areas are reached. The alcohol will help to dry out the region and will help to avoid any infections. The umbilical cord does not hurt the baby. It is dead tissue. To avoid any irritation fold back baby’s diaper to keep the cord aerated and to avoid any disturbance to the area. A newborn baby’s skin is delicate and only requires a bath 2 to 3 times a week. If bathing baby in a tub. The water should always only be lukewarm. Avoid any harsh soap and opt for bath washes that are especially designed for sensitive baby’s skin. Bathing in a tub is not necessary at this stage. As long as you clean his bottom thoroughly after diaper changes, a sponge bath is just as good. Use a soft clean damp cloth to gently wipe his body. A well-hydrated baby should have between 4 to 6 wet diapers a day; this does not include soiled diapers. Soiled diapers can be less frequent and may vary on each baby. Some baby may pass stools daily while other baby’s may take several days. It is important to understand your baby’s routine and should there be a change consult your health care provider. A healthy baby will pass a thick soft stool that is easy to pass. Stool that is hard and marble like suggests that the baby is constipated and you should seek medical advice. A breastfeed baby’s stool will be a yellowish colour early on while a formula feed baby’s stool will be a yellowish/greenish colour. A baby’s nails will grown quickly. It is often advised to cover his fingers with mittens to help avoid him scratching himself. Trimming a newborn’s nails can be daunting. Invest in some rounded tipped scissors they are safer and are less likely to prick him. Trim his nails when he sleeps or just after he has feed. This way he will be clam and is less likely to move. Babies will generally need to wear more clothes & require more changes. His circulatory system is still not properly developed and he is unable to regulate his body temperature as effectively. As a rule add one layer of extra clothing to your baby than you are wearing. Continue to check as the temperature changes as he may require more of less clothing. Signs a baby is too hot are: fast breathing and or sweaty patches behind his neck. Signs your baby is too cold: he may be shivering and or have blotchy areas on his skin. Babies also use crying to let us know that they are uncomfortable. So if he is fed, has a clean diaper and is not tired, it could be that he is too hot or cold. Like this post? Follow Cake Maternity on Facebook to get the latest updates! We have come up with great Valentine’s gifts that will make her feel special and cared for this Valentine’s and some of them don’t even cost a cent!